A happy song sung by Anish Nair and music composed by Adam Eddie. Star Cast: Sunny Kaushal, Ashrut Abhinan Jain, Jaswinder Singh, Suhas Joshi, Himayat Sayed, Divya Jyoti Sharma, Subha Rajput, Nida Chakraborty. 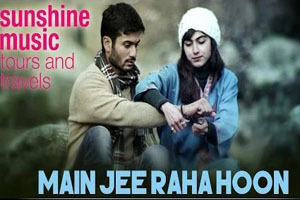 Lyrics of "Main Jee Raha Hoon"
Lyrics in Hindi (Unicode) of "मैं जी रहा हूँ"